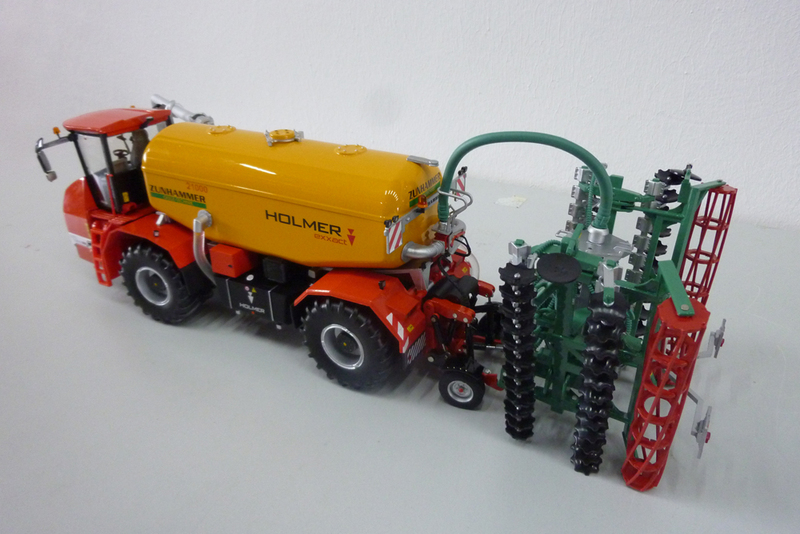 The highest performing self-propelled slurry vehicle in the world conquers the miniature market! 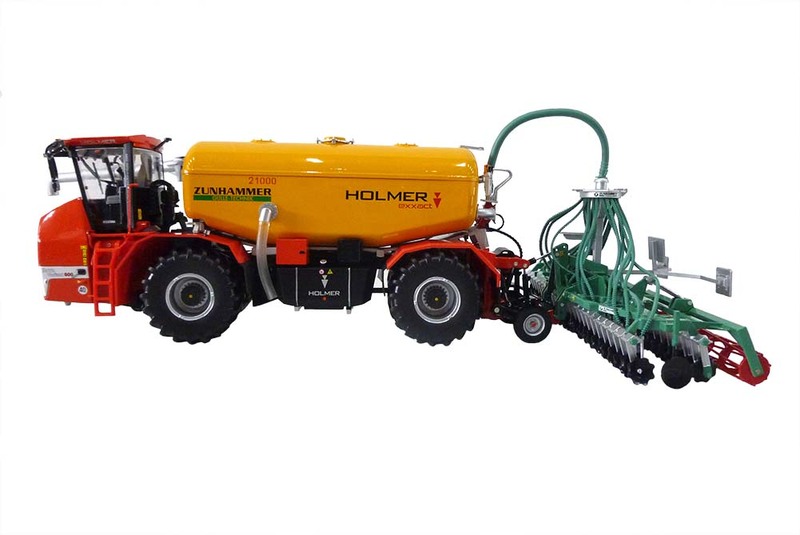 The HOLMER Terra Variant is available with ZUNHAMMER manure technology and the Zunidisc accessory. 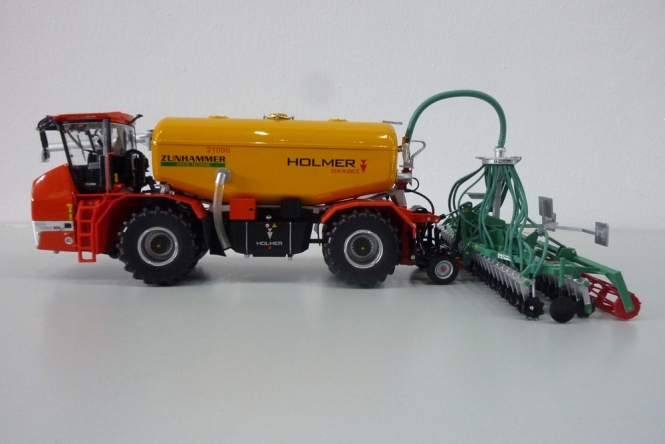 Like the harvester models, the 1:32 Terra Variant 600 eco comes from the House of ROS. The rubber tyres are completely soil protective like the original. The suction arm folds out. 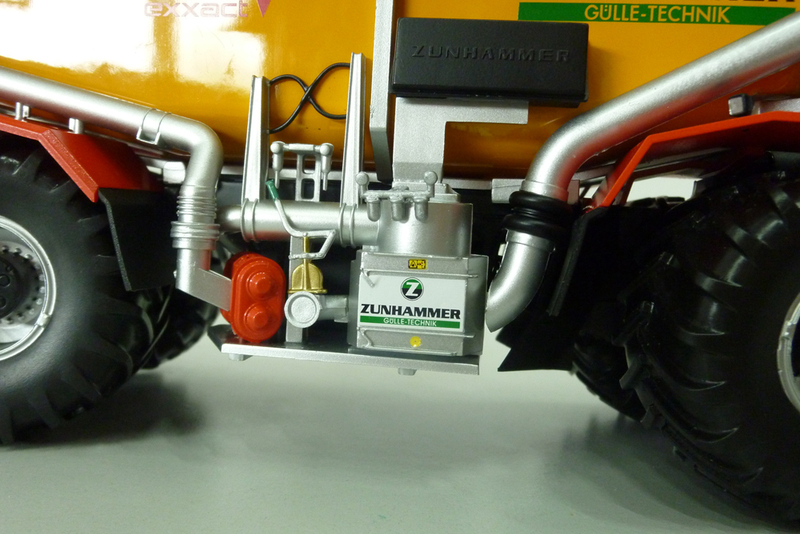 A swinging three-point allows optimum mobility for the ZUNHAMMER Zunidisc. 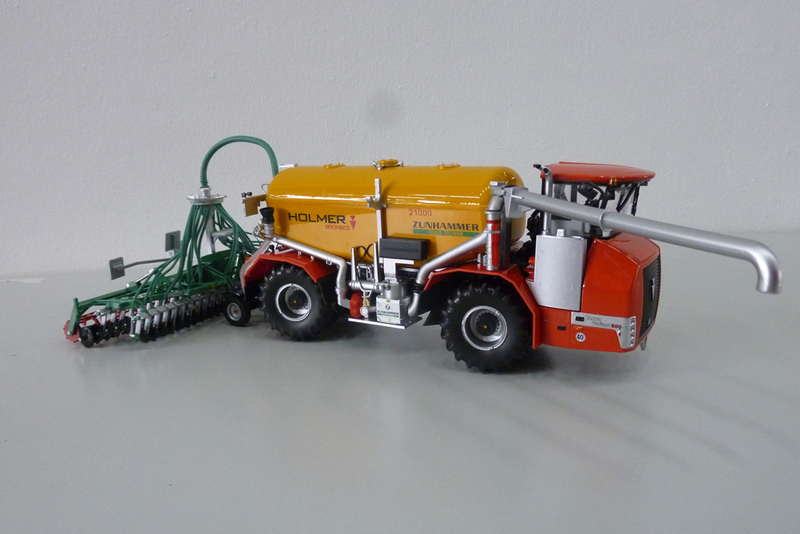 For transport, the Zunidisc can be retracted and detached on both sides. The serrated hollow discs and the gradient cylinders are rotatable. The miniature Terra Variant is a true-to-scale collectors model and due to its many detailed, true-to-original replica is not suitable as a children’s toy.